DaVinci Resolve is a potential software tool for video editors and is commonly used by professionals. There are so many tools and features to explore inside, but if you are a beginner then you may not be able to use it so interactively. The article below will provide you complete information about how you can import your files to DVR. It will provide useful information to beginners but if you are searching for advanced tips, then it is good to visit Best Tutorials for DaVinci Resolve in 2018 . In case if your video file is not supported by DaVinci Resolve due to any reason then you can prefer to use FilmoraPro as suitable alternative. You will be glad to know that Filmora offers support to more than 150 file formats, so your video will get easily processed. Some of the most commonly used formats are MKV, AVCHD, MOV, AVI and MP4 etc. You can get more information in the completed FilmoraPro supported formats . It is possible to share your processed files directly on social media platforms like Vimeo or YouTube. FilmoraPro - Filmora's video editor for pro is commonly used by semi-pros for processing and editing video files as it offers highly interactive user interface with wide set of advanced features. Watch the video below to check what FilmoraPro can do for you. 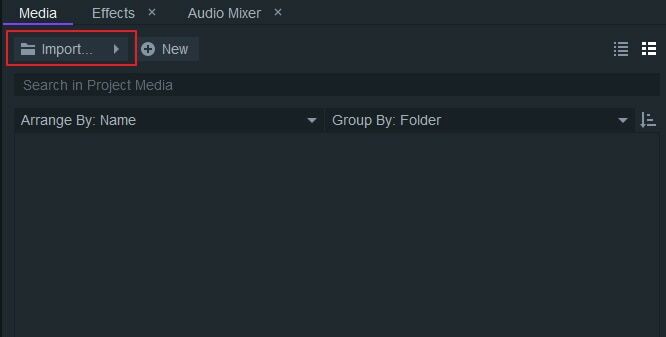 Looking for more details about how to edit video in Filmora? Check our ultimate guide for beginners here. In DaVinci Resolve 15, you will find that there are Fusion visual effects and motion graphics, and Fairlight audio tools built in it, and you can now import DaVinci RAW codec file to it directly. DVR extends its support to four different types of file formats and the list covers all popular sets, hence you can process your media files fast. Supported Video formats and codecs include but are not limited to: avi, r3d, m2ts, mp4, mxf, prores, dnxhd, mxf, dpx, cin, exr, mov, etc. Some of the most commonly processed image file formats are: .tif, .psd, .png, .dng, .jpg, .exr and .dpx. It also allows FCPXML/EDL/AAF files. Popular audio file formats (file extensions) supported by DVR: wav, aiff, mov, mp3, mp4, mxf, r3d, aac etc. 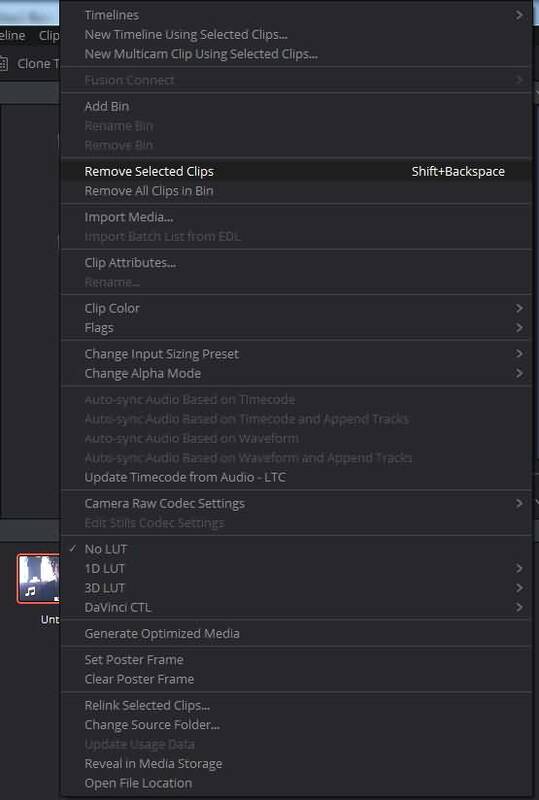 To import video, audio and media files to DaVinci Resolve, you can follow the 3 methods below. Method 1 and Method 2 are easy to import the media files for a quick editing, but Method 3 is useful when you want to place all your media in order. It is also possible to import files using File Menu option. The process is quite simple and demands just a few seconds. 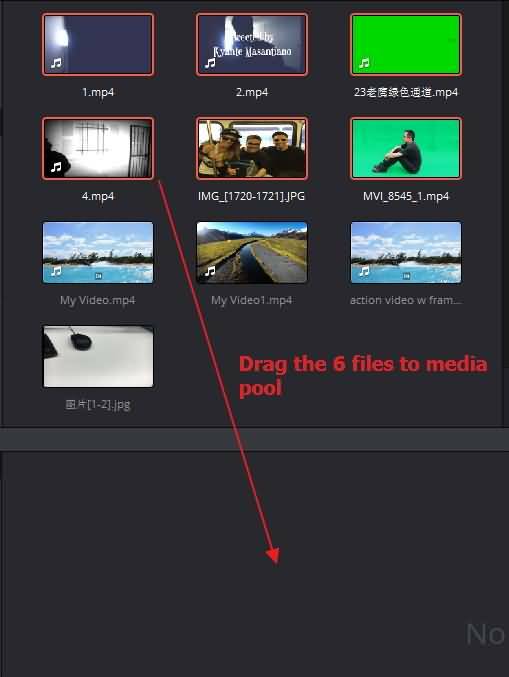 Locate your file position, then press Open option to bring your video files to the media pool without wasting much of your time. Here is the simple technique. Use drag and drop feature to get your media files on Media pool directly. Once you have created your project, then simply click on Preferences at top left corner of DVR. Step 1: Set your hard drive for DVR interaction and then check the option “automatically display attached storage locations”. Step 2: Search for your desired files in the Media Storage Browser, the viewer window will help you to preview all selections. Step 3: Now select your required file and simply drag and drop the file from the Media Browser window to the Media Pool. Step 4: If you want to customize the project settings, do it now by clicking the option Change to change the settings. Step 5: If you want to delete the media after previewing, you can right click the video and select “remove selected clips” to delete. 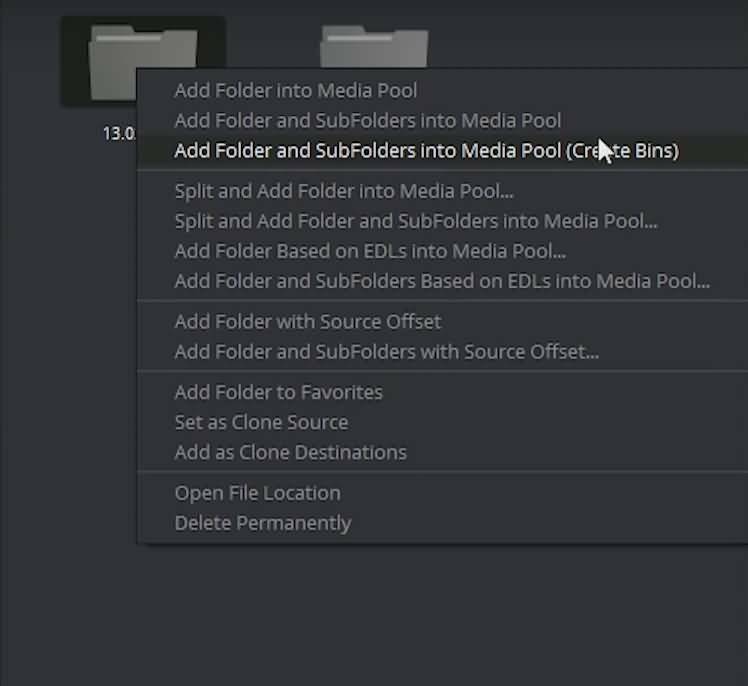 If you want to process multiple files simultaneously, click on the empty area on the Media Browser panel and then click and drag across the multiple clips. The batch file processing task can also be completed by using ‘add folder and subfolder to media pool’ option. It will help you to get files from different folders within very less time. Choose your media clip and open it with viewer. Set In-Out points for your sub-clip. Simply right click on Job Bar and then choose option to make sub-clip. The new clip will immediately appear on media pool. Here is a video tutorial on importing media to DVR 15. If you think DVR is difficult to use, FilmoraPro is a video editor you should consider. It is easy to import video or audio files. Below are the steps. Click open FilmoraPro and in the interface, click Create New Project. Click Import at the lower left corner. Choose one clip you like. Now, it is imported. You can also double clik on teh media library blank area to import clips. Now, just drag the media to timeline. It is done. 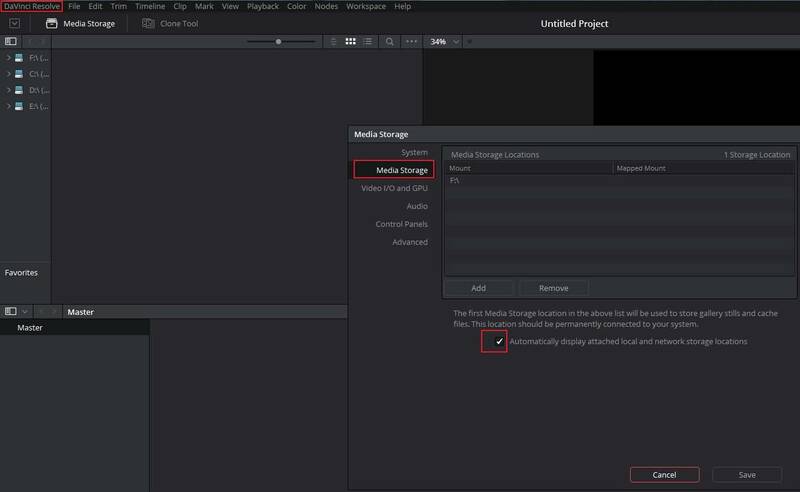 Now, you know Davinci Resolve supported formats and how to import videos and audio. You can also use FilmoraPro to import video too. It supports a wide range of formats. Download it to have a try!